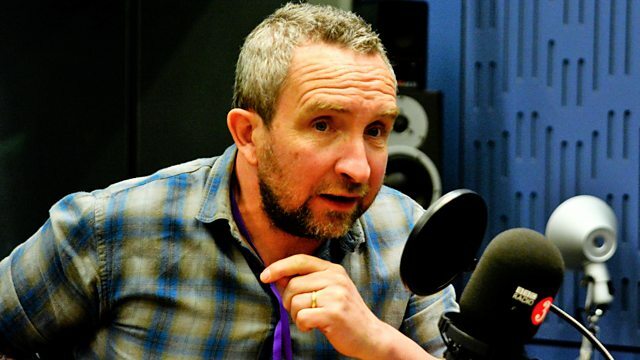 Clive Anderson and Emma Freud are joined by Eddie Marsan, Dean Burnett and Split Britches for an eclectic mix of conversation, music and comedy. With music from Mary Gauthier and Charles Watson. 'Entebbe' is in cinemas from Friday 11th May. 'Unexploded Ordnances' runs at London’s Barbican Centre from 15th to 19th May, as part of their season The Art of Change, then at Take Me Somewhere Festival, Glasgow on 26th May. 'The Happy Brain' is published by Faber and is available now. 'Rifles & Rosary Beads'is available now on Proper Records. Mary is playing at St Luke's, Glasgow on 13th, The Met, Bury on 14th, The Glee Club, Nottingham on 16th and King's Place, London on 17th May. 'Now That I'm A River' is available on 18th May on Moshi Moshi Records. Charles is playing at The Great Escape, Brighton on 19th, Portland Arms, Cambridge on 21st and The Louisiana, Bristol on 22nd May. He's also playing at Latitude, Suffolk on the second weekend of July.